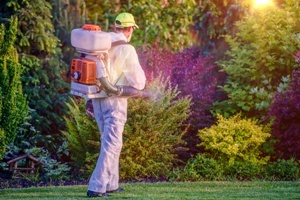 Pesticide Exposure: Is Your Non-Subscriber Employer Liable? Because of the warm weather for much of the year in Texas, people who work with pesticides are exposed to these toxic substances more frequently and for longer than similar workers in cold weather climates. Unfortunately, the long-term exposure to pesticides can cause workers to suffer serious illnesses, such as respiratory illnesses, cancer, or death. In Texas, many of these people work for non-subscriber employers who do not provide workers’ compensation benefits. However, injured workers may be entitled to compensation if they can prove that their employer’s negligence contributed to their illness. Who Is at Highest Risk of Pesticide Exposure? Workers can suffer mild cases of poisoning that causes skin irritations, headaches, or nausea, or much more serious illnesses—some life-threatening—caused by long-term exposure to pesticides. Some diseases associated with fungicides include blood disorders, cancer, malignant tumors, and leukemia. Even more tragically, a worker can endanger family members, who can be exposed to these toxic substances if he brings them home on his skin or clothes. When Could a Non-Subscriber Employer Be Liable for a Worker’s Exposure to Pesticides? Did you suffer an illness or other injury due to pesticide exposure at your job? Hiring an experienced workplace injury attorney is essential in order to prove that your employer’s negligence caused your condition. At the Hart Law Firm, we are committed to helping workers hold their non-subscriber employers accountable for their negligent actions. Contact us online or call us directly at 817.380.4888 to schedule a free consultation with a member of our legal team. How Can I Find Out If My Employer Is a Non-Subscriber Employer?